Tchelzy Mei Maayo, currently in Grade 1, won a bronze medal in floor exercises in the recent Hong Kong International Carnival 2018. The international meet featured 600 gymnasts from 15 gymnastic clubs from 6 countries. Maayo eventually landed in the Top 8 from the 68 gymnasts who competed in her level. The floor exercises involve tumbling and dance skills that include leaps, jumps and turns while using the entire floor mat during the performance. She developed her interest in gymnastics in the summer of 2017. After a year, she immediately ascended to Level 2. 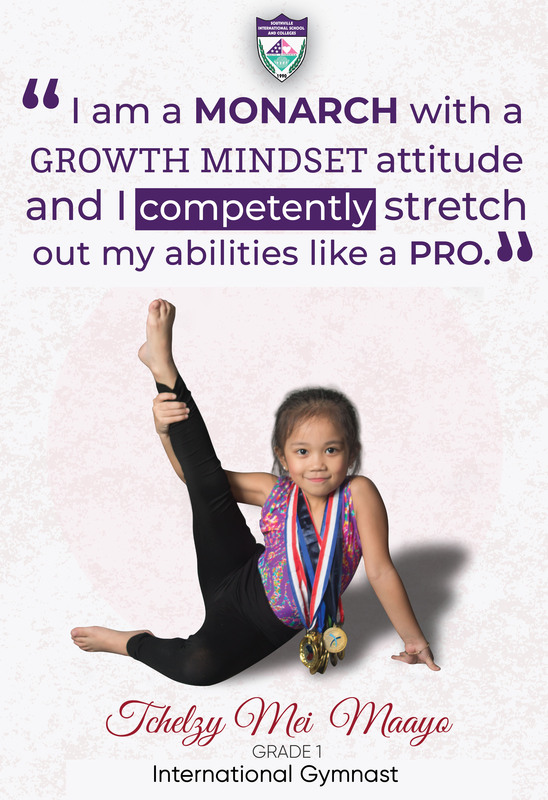 Her coach commends her passion for the sports, “She trains religiously and you will see in her eyes her determination which is actually rare for six years old.” She trains three times a week, juggling tutorials and rehearsals without complaint. She has been part of various workshops and competitions in line with the performing arts and given an award of Gold Academic and Values Excellence as a student. Tchelzy, among Southville’s young achievers, has exemplified growth mindset attitude proving excellence both in academics and extracurricular activities.